Facebook in 2015 completed a massive expansion of its Menlo Park headquarters. A year later, the company’s real estate chief, John Tenanes, revealed intentions to add at least 1,500 residential housing units to the mix. Some of those units, he said, would be rented out to low- and middle-income families below market rate to help with the general lack of housing in the area. On Friday, Facebook shared additional details about those plans. 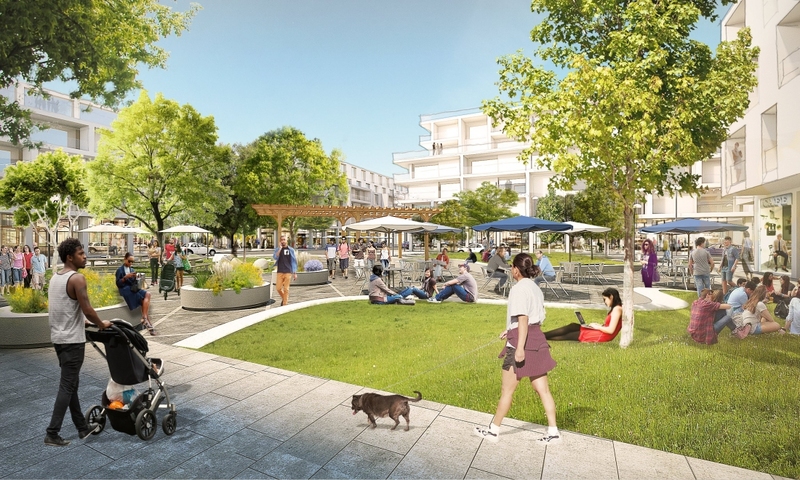 Tenanes said the social network is planning to redevelop the former Menlo Science & Technology Park to create what they’re calling Willow Campus. Described as a mixed-use village, Willow Campus will feature 125,000 square feet of retail space including a grocery store and a pharmacy. The community will also offer plenty of office space and, according to Tenanes, provide transit solutions and other community services. Facebook intends to file its plan with the city of Menlo Park this month and have more formal conversations with government officials during a two-year review process. Construction is expected to follow in phases, Tenanes said, with the first phase including the grocery, retail, housing and office space to be completed in early 2021. Subsequent phases will take an additional two years each to complete, we’re told.